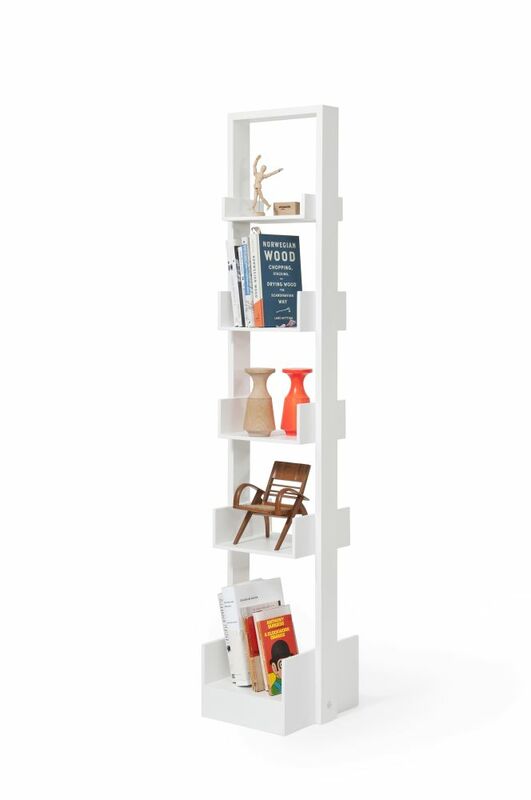 Bookie five shelf book storage and object display unit is a freestanding design. Where do you collect, reference and store your favourite stories? Bookie five shelf book storage and object display unit is a freestanding design. It does not need to be against a wall. There is no front or back, for an open plan space, in an alcove, against a wall, this design works equally well. Use as a single piece or in multiples. Intuitive, graduated shelf spacing means smaller paperbacks go at the top and tall coffee table hardbacks at the bottom. Bye-bye bookends - shelf side’s hold books upright. Clean with a damp soapy cloth. Do not leave in prolonged contact with liquids. Some liquids may damage the wood and paint finishes. Prevent accidents, install anti-tip kit and follow loading instructions carefully.